I have been working on an OpenStack architecture design using VMware Integrated OpenStack (VIO) for the past several months. The design itself is being developed for an internal cloud service offer and is the design for my VCDX certification pursuit in 2017. As the design has gone through the Proof-of-Concept and later the Pilot phases, determining how to offer a multi-tenant/personal cloud offering has presented itself to be challenging. The design relies heavily on the NSX software defined networking (SDN) platform, both because of requirements from VIO and service offering requirements. As such, all north-south traffic goes through a set of NSX Edge devices. Prior to hitting the north-south boundary however, the east-west tenant traffic needed to be addressed. I had seen other designs where a single, large (/22 or greater) external network was relied upon by all OpenStack tenants talked about. However, for a personal cloud or multi-tenant cloud offering based on OpenStack, I felt this was not a good design choice for this environment. I wanted to have a higher-level of separation between tenants and one option involved a secondary pair of NSX Edge devices for each tenant. The following diagram describes the logical approach. The above logical representation expresses how the deployed tenant NSX Edges are connected upstream to the security or L3 network boundary and downstream to the OpenStack Project that is created for each tenant. At a small to medium scale, I believe this model works operationally — the tenant NSX Edges create a logical separation between each OpenStack tenant and (if assigned to on a per-team basis) should remain relatively manageable as the environment scales to dozens of tenants. The NSX Edge devices are deployed inside the very same OpenStack Edge cluster specified during the VIO deployment, however they are being managed outside of OpenStack and the tenant has no control over them. Each secondary pair of NSX Edge devices for the tenant are configured with two interfaces — one uplink to the north-south NSX Edge security gateway and a single interface that becomes the external network inside OpenStack. It is this internal interface that the OpenStack tenant deploys all of their own micro-segmented networks and consumes floating IP addresses from. An upcoming post will describe the deployment and configuration of these tenant NSX Edge devices and their corresponding configuration inside OpenStack. I am concerned with this approach once the scale of the environment grows to 50+ OpenStack tenants. It is at that point where operational management difficulties will begin to surface and cause challenges. Specifically, the lack of available automation for creating, linking and configuring both the NSX component deployment and tenant creation within OpenStack itself (projects, users, role-based access, external networks, subnets, etc). After writing the initial article in the post, further testing was performed that has influenced how multi-tenant OpenStack external networks can be implemented. As such, Part 2 of the series includes the new information. For completeness, I’ve decided to include that information here as well for archival purposes. The post yesterday discussed a method for having segmented multi-tenant networks inside of OpenStack. As a series of test cases were worked through with a setup of this nature, a large gaping hole in OpenStack came into view. What does the previously described multiple external networks look like inside OpenStack? Admin view with multiple external networks defined in OpenStack. Networks from Tenant 1 view. Networks from Tenant 2 view. In the second and third screenshots, you can see the two tenants see both external networks, but they only see a subnet listed for the external network that was created with their respective tenant-id. At first glance, this would seem to be doing what was intended — each tenant receiving their own external network to consume floating IP addresses from. Unfortunately, it begins to breakdown when a tenant goes to Compute –> Access & Security –> Floating IPs in Horizon. Multiple tenant floating IP addresses. The above screenshot shows a tenant being assigned an floating IP address from what should have been an external network they did not have access to. I felt pretty much like Captain Picard after working through the test cases. Surely, OpenStack would allow a design where tenants have segmented external networks — right? Nevertheless, the concept of ‘external’ implies some forms of sharing, and this has some bearing on the topologies that can be achieved. For instance it is not possible at the moment to have an external network which is reserved to a specific tenant. Essentially, OpenStack Neutron thinks of external networks differently, than I believe most architects. It also does not clearly honor the tenant-id attribute that is specified when the network is created, nor when the shared attribute is not enabled on the external network. The methodology OpenStack Neutron uses is more in-line with the AWS consumption model — everyone drinks from the same pool and there is no segmentation between the tenants. I personally do not believe that model works in a private cloud where there are multiple tenants. The next post in the series will discuss a potential design for working around the issue inside OpenStack Neutron. VMware announced a new open source project call Project Photon today. The full announcement call be seen here. Essentially Project Photon is a lightweight Linux operating system built to support Docket and rkt (formerly Rocket) containers. The footprint is less than 400MB and can run containers immediately upon instantiation. I had heard rumors the announcement today was going to include some sort of OS, but I was not very excited about it until I started reading the material being released prior to the launch event in a few hours. Having seen the demo and read the material, my mind went into overdrive for the possibilities both open source projects offer organizations who are venturing down the Cloud Native Apps (or Platform 3) road. I believe VMware has a huge opportunity here to cement themselves as the foundation for running robust, secure and enterprise-ready Cloud Native Applications. 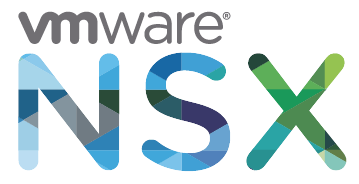 If you think about the performance gains vSphere 6.0 has provided, and then look at how they are playing in the OpenStack space with both VIO and NSX, the choice becomes obvious. The area of focus now needs to be on tying all of the pieces together to offer organizations an enterprise-class end-to-end Platform-as-a-Service solution. This is where, I believe, the VMware Big Data Extensions framework should play an enormous part. The framework already allows deployment of Hadoop, Mesos and Kubernetes clusters. Partner the framework with Project Photon and you now have a minimal installation VM that can be launched within seconds with VMFork. From there, the resource plugin Virtual Elephant launched today could be mainstreamed (and improved) to allow for the entire deployment of a Mesos stack, backed by Project Photon, through the open source API OpenStack offers with Heat. There is still work VMware could do with the Big Data Extensions framework to improve its capabilities, especially with newcomers SequenceIQ and their Cloudbreak offering stiff competition. Expanding BDE to be able to deploy clusters beyond an internal vSphere environment, but also to the major public cloud environments — including their own vCloud Air — will be key going forward. The code for BDE is already an open source project — by launching these two new open source projects they are showing the open source community they are serious. This is a really exciting time in virtualization and I just got even more excited today!